In less than two weeks, I'll be attending an epic concert. 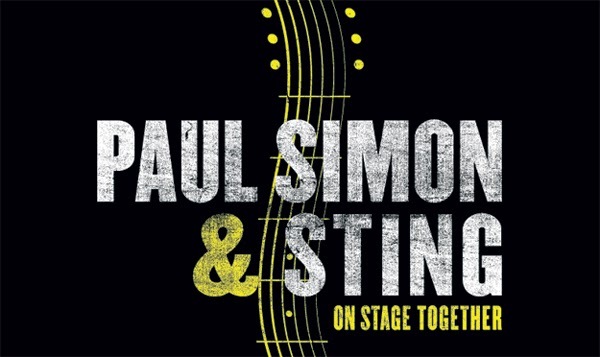 Paul Simon is teaming up with Sting for, what promises to be, a fantastic evening of solos, duets and song swapping. I discovered Paul Simon during my high school days. More accurately, I discovered Simon and Garfunkel during my high school days. While browsing the Columbia House brochure (who remembers Columbia House?!?!) I decided to order Simon and Garfunkel's Greatest Hits on cassette. That's right folks! Cassette! I fell in love with the beautiful harmonies and the poetic lyrics. In fact, I think I wore that tape out. I stumbled upon Graceland and Rhythm Of The Saints at a second hand music shop, and discovered Paul Simon's solo collection. I realized that although I loved the sound of S&G, it was really the musical genius of Mr. Simon that I admired so much. In 1999, I heard that Paul Simon was touring with Bob Dylan. I was convinced this would be my last chance to see my favourite artist in person. At the time, I thought he was aging and would probably not play many more live shows. (Oops. Naivety of youth I suppose.) This excerpt from my scrapbook sums up my first show. Since then, I've had the privilege of seeing Paul sing with Art Garfunkle, Brian Wilson, and several solo shows. Can't wait to add the Sting & Paul show to the list!